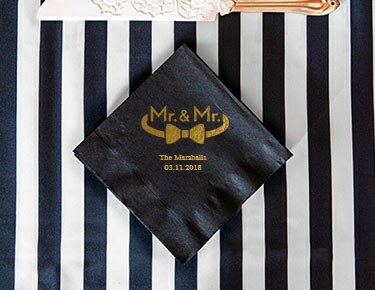 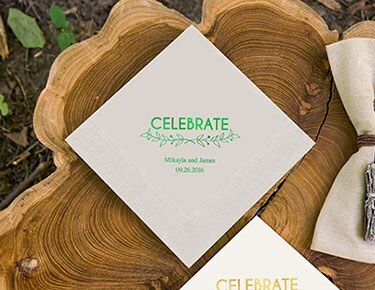 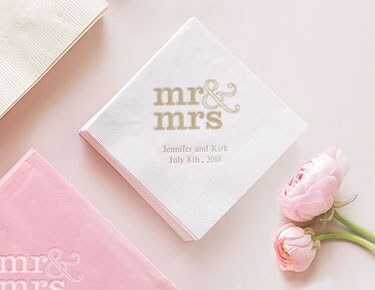 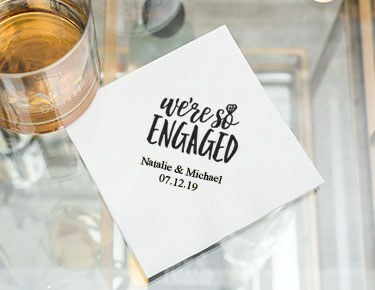 Your wedding is a once-in-a-lifetime event, so mark the occasion with these unique wedding napkins from The Knot Shop. 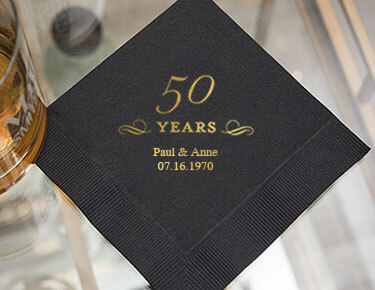 Each of these stylish designs can be personalized with your names and wedding date, making them a great way to set the tone for a celebration you'll always remember. 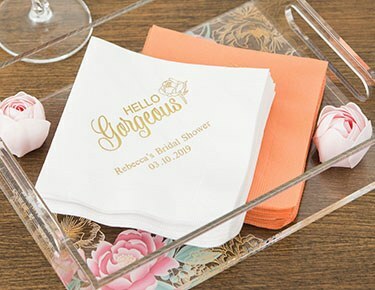 With so many personalization options, it's easy to coordinate your napkins with the style and colour scheme of your event. 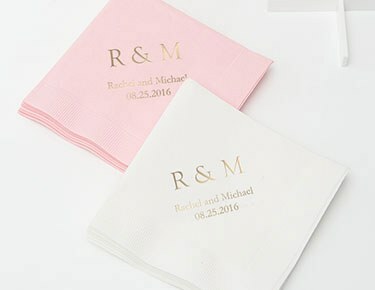 However, wedding napkins are only the beginning when it comes to these unique designs. 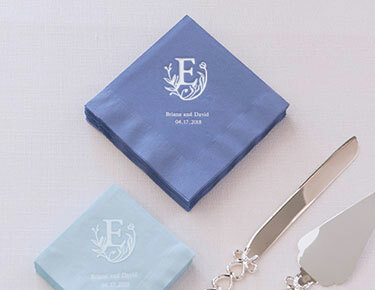 Whichever design you select, be sure to coordinate your napkins with other table decorations like table runners, confetti and napkin rings for a totally consistent look. 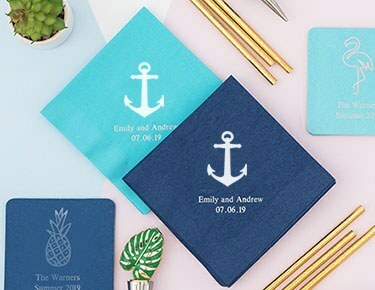 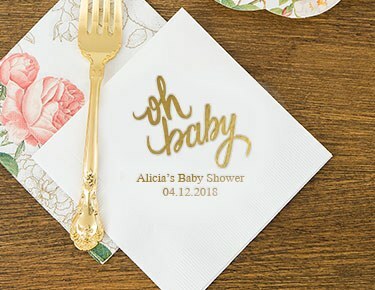 Check out our full line of personalized party napkin designs and other fun favours, decorations and supplies at The Knot Shop. 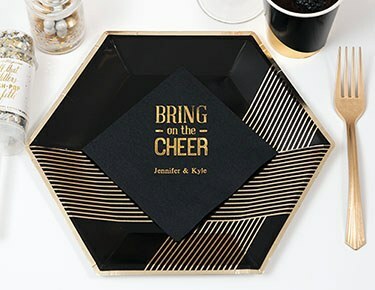 All North American orders over $99 ship free, so go ahead and indulge in all the fine details that will make your event a night to remember.